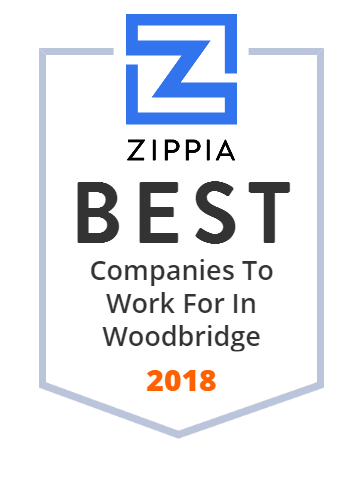 We hand-curated a list of the best companies to work for headquartered in and around Woodbridge, NJ using data on salaries, company financial health, and employee diversity. Saker ShopRites, Inc. owns and operates supermarkets in New Jersey, New York, Pennsylvania, Connecticut, Delaware, and Maryland. It offers food and services, grocery, fresh produce, food safety, baked, pharmacy products, meat products, floral items, seafood, craft beers, and more. The company also provides digital receipts, digital coupons, gift cards, catering services, new items and products, and health and wellness products. In addition, it sells products online. Saker ShopRites, Inc. was formerly known as Foodarama Supermarkets Inc. The company was founded in 1916 and is based in Freehold, New Jersey. As of July,2006 Saker ShopRites, Inc. operates as a subsidiary of Saker Holdings Corp.
Ansell's Industrial division manufactures and markets high-performance, multi-use protection solutions specific for hand, foot, and body protection, for a wide-range of Industrial applications. Ansell's healthcare division offers a full range of surgical and examination gloves covering all applications, as well as healthcare safety devices and active infection protection products. Hatch Mott MacDonald is a consulting engineering firm serving public and private clients in North America. Wakefern Food Corp., the merchandising and distribution arm for ShopRite, has grown into the largest retailer-owned cooperative in the United States and the largest employer in New Jersey. The cooperative is comprised of 50 members who individually own and operate supermarkets under the ShopRite banner. They are a team that is passionate about bringing homeownership to their customers and shaping the culture of lending. A local licensed Mortgage Loan Originator (MLO) is always available to meet with you, answer your questions and walk you through the process. You can have in-person meetings or use email to sign documents electronically. Find expert guidance that works for you. Find a doctor who meets your unique needs, takes your insurance, and can schedule with you soon. Speak with a live advisor or compare doctors online. The Middlesex Water family of companies has built a strong reputation for delivering value for their clients through sound, technical water and wastewater solutions. Our reputation as an honest and ethical problem solver is growing and we'd like to put their expertise to work for you. Middlesex Water, with over a century of utility management and operations experience. JJ Elek Realty has been a major force in the real estate industry since our founding. Their company has grown through the years and continues to grow today in this ever changing industry. They strongly believe in providing their clients with reliable customer service and this philosophy has earned them the reputation of being the best in the real estate industry. KSD operates 10 regional distribution centers in the continental United States and goes to market in the Caribbean thru a stocking rep relationship. The company is a privately held third generation family business that is approaching 80 years in operation in 2015. With 110 employees, KSD is focused on servicing the tubing, pipe and PVF needs. Gem Limousine Worldwide is a (WBENC) Woman Business Enterprise and Family Owned corporate and personal global ground-transportation company with over 42 years of experience. Dedicated to their professional clientele & committed team, they consistently invest in technology, vehicles & their infrastructure to promote superior service levels. Greenbaum, Rowe, Smith & Davis is a recognized leader among New Jersey law firms, with deep roots in the state and a far-reaching knowledge of New Jersey legal issues. True to that identity, they understand the "ins and outs" and the inherent complexities of handling legal challenges in New Jersey, knowledge which translates directly into an advantage for our clients. For two decades, PacificHealth Laboratories has pursued a singular mission - develop healthy, nutritious, performance nutrition products based on cutting-edge science. Northfield Bank offers a full line of personal and commercial banking services to the Staten Island, Brooklyn and New Jersey community. Sitar Realty Company provides the finest, most professional real estate services to their clients, exceeding their expectations and delivering total satisfaction. Their approach maximizes the value of real estate while minimizing client costs. They combine creativity, real estate specialists, total market expertise, and integrity to achieve comprehensive solutions to real estate needs. American Properties Realty, Inc., A Licensed Real Estate Broker that provides excellent quality, convenient locations and affordable pricing for New Jersey homebuyers. The Principals of American Properties Realty, Inc., have been involved in the creation of residences ranging from luxurious estate homes to apartments, condominiums, townhomes and single family homes. Inserra Supermarkets, Inc. owns and operates supermarkets in New Jersey, New York, Pennsylvania, Connecticut, Delaware, and Maryland. The company provides fruits and vegetables, seafood, cheese, bakery products, meat products, and pharmaceuticals. It also sells products online. The company was founded in 1954 and is based in Mahwah, New Jersey. Brown's Super Stores, Inc., doing business as ShopRite, Inc., owns and operates supermarket stores which offer pharmacy products, golf outing products, name badges, business cards, and general products. The company was incorporated in 1987 and is headquartered in Westville, New Jersey. Brown's Super Stores, Inc. operates as a subsidiary of Wakefern Food Corporation. Their long-standing company values of Partnership, Quality and Service Excellence underpin our approach to their global online survey services. They have built an entire division of experts who have extensive online research experience and an unparalleled understanding of quality drivers across panel, sample and survey.